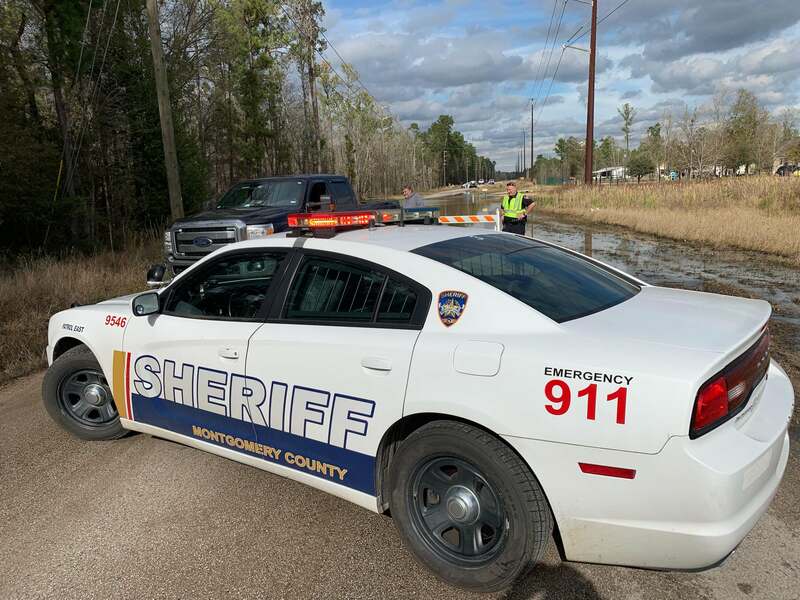 Law enforcement will be on the scene of the washed out portion of Old Houston Road throughout Sunday night and into Monday morning, Pct. 4 Commissioner James Metts said. The Sheriff’s Office and Pct. 4 Constable’s Office are providing units to keep people from removing or going around the barricades. With no regard for the law or for the safety of others and/or their property, someone took it upon themselves to take down the barricades placed on Old Houston Road near Village Way earlier today, set there to prevent people from unknowingly driving into an area of the roadway that has washed away. The section of road is covered by water and does not appear very different from how it has for the past year or more, each time it rained and for many days afterward. Because people who travel the road regularly may believe there is still a stable solid road beneath the familiar water, someone in a small vehicle or on a motorcycle could be seriously injured. Any vehicle could sustain serious damage if a driver had no warning of the washed out roadway that is disguised by the water. Pct. 4 Commissioner James Metts has been informed of the issue and is again in the process of making sure the road is blocked. According to Pct. 4 Commissioner James Metts, Old Houston Road near Village Way is 100 percent CLOSED as of Sunday afternoon. 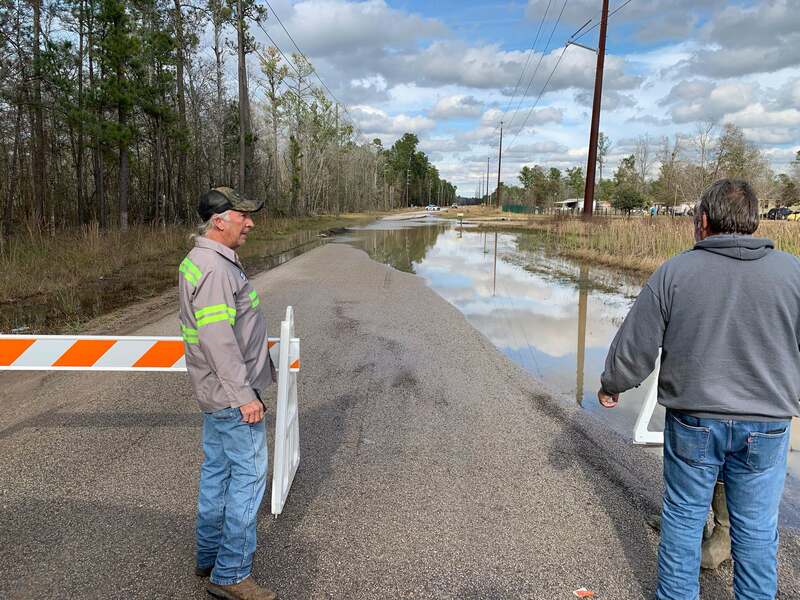 Portions of the road have washed away, with some drivers, even in large 4-wheel drive pickups, describing the center as a “sinkhole”. Commissioner Metts has Director of Operations Steve Hartwig and others on-scene, as well as law enforcement. The Commissioner said the problem has been identified and solutions are being plotted, but until then, people need to detour. Ignoring or going around the barricade may cause vehicular damage and in some cases, injuries. From a vehicle, the problematic stretch of roadway may not look much different than it has for quite some time, with water almost continually on or flowing all the way across it. However, people should be aware the road is no longer solid at that point, and has changed since the work week ended.